North Halifax Partnership Ltd is the parent company for Sure Start North and East Halifax and Innovations Children’s Centre. 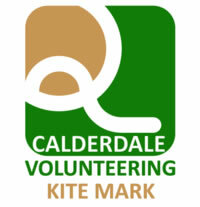 The Partnership was formed in 1998 to manage the Single Regeneration Programme in North Halifax. In addition to managing Sure Start activities we also manage the Ovenden and Mixenden Initiative neighbourhood management programme. The Partnership is a not for profit company and a membership based company. Any resident of North Halifax can join the company and stand for or vote for the community representatives on the Board. There are 14 community Director seats on the Board and we also have partner agencies represented on the Board including Calderdale MBC, Job Centre Plus, West Yorkshire Police Calderdale College and the NHS.